Some seven million Afghan voters took part in the country's presidential election on Saturday, despite Taliban threats to disrupt the vote “at any cost.” Polling was extended by over an hour and ballot papers became scarce due to the high turnout. 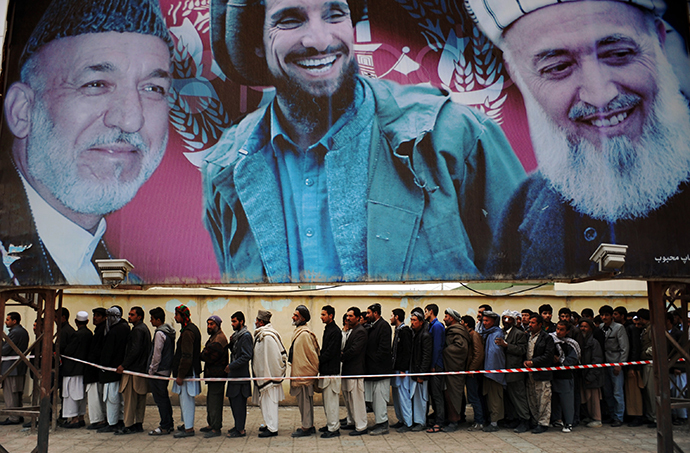 A total of 12 million Afghan citizens were eligible to vote, meaning the turnout was roughly 58 percent, election commission chief Ahmad Yousuf Nuristani told reporters, citing preliminary estimates. Only 4.6 million people turned out at the last election in 2009. In Kabul, polling stations made the decision to extend voting hours far past the official closing time of 4 p.m. in order to facilitate the numbers. 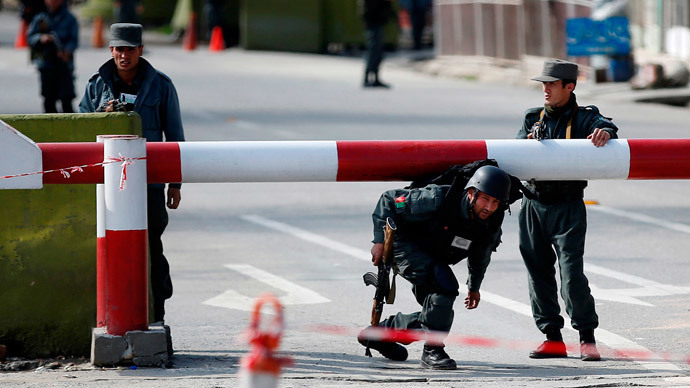 Three hundred and fifty thousand Afghan servicemen and law enforcement agencies were dispatched to cope with the anticipated violence and threats from the Taliban. The process was not without security problems. 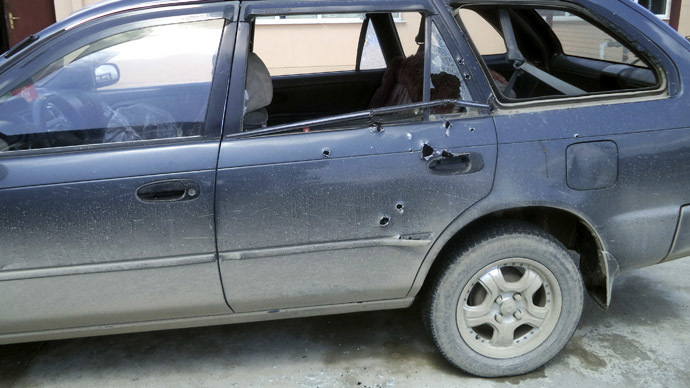 Two journalists were shot on Friday, one fatally, prior to the opening of the polls. Nine police, seven soldiers, and 89 Taliban members were killed across the country on Saturday, according to the Ministry of the Interior. DNA India reported that two of the policemen were killed by a roadside bomb in Kalat, Zabul province, located in southern Afghanistan. Two other people were injured in the blast. 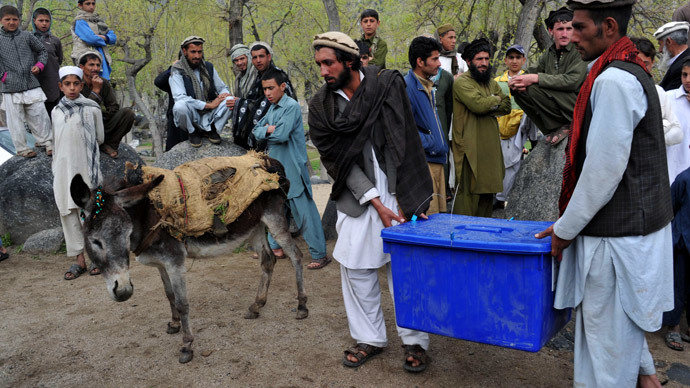 Four voters were also wounded, one critically, in a blast at a polling station in Logar, in the country’s southeast. The explosion occurred a few hours after the polls opened. RT’s Lucy Kafanov in Kabul reported that 211 polling centers couldn't be opened on Saturday due to security reasons, according to the Independent Election Commission (IEC) chief. Hundreds gathered in the western Kabul neighborhood of Dasht-e-Barchi, waiting for most of the day to vote. However, the turnout outside the capital was reportedly lower. 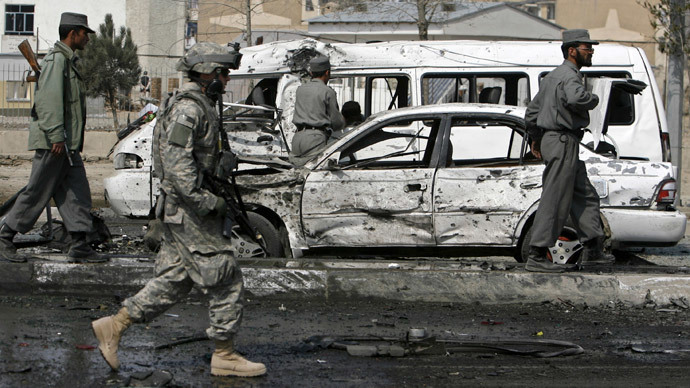 “Disturbing reports out of parts of Wardak Province. Intimidation, fear of voting, almost nonexistent turnout in some areas,” RT's Kafanov tweeted. The Electoral Complaints Commission (EEC) announced on Saturday that at least 200 complains were made about both the presidential and local elections.The number of complaints is expected to rise by Monday. Some minor violations were reported, such as SMS messages being used in an attempt to influence voters. Mobile phone companies suspended services temporarily. 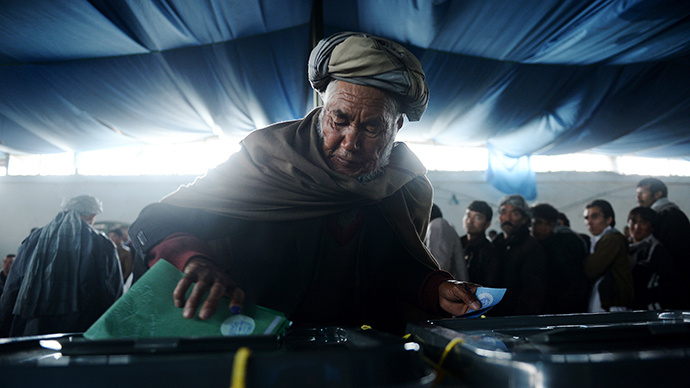 Eight candidates are fighting to take President Hamid Karzai's seat. Karzai is unable to seek a third consecutive term, as the practice is barred by the constitution. None of the candidates will likely be able to obtain the 50 percent necessary for victory; a second anticipated round has been scheduled for May 28. The two highest-placed candidates will compete and the winner will be determined by a simple majority. Former foreign ministers Abdullah Abdullah and Zalmai Rassoul, and former finance minister Ashraf Ghani Ahmadzai are believed to have the highest chance of winning the election, according to Afghan and foreign observers. However, it will take weeks to gather the votes from around the country. The initial results are not expected to be released until the end of April.